2018 has been an amazing year for our family history with quite a few walls crumbling down. Cousin connections were made and others were strengthened. The highlight for this year has been two mysteries solved within the Lipschitz and Haimowitz families. The story of Benjamin Lipschitz, my great grandfather on my birthmother Marlene’s maternal side, was solved with a 3rd cousin DNA match to Jane. I had been haunted for quite some time regarding Benjamin and his wife Kate Rosen. Both of them deaf from a childhood illness, they were joined together through an arranged marriage. I just knew there had to be more to their story and family than just my grandmother Myra, her sisters Esther and Mary and their descendants. There was! On my Haimowitz side I had knowledge that some family had immigrated to England from Romania. Who this ‘family’ was, was a complete unknown. Siblings, Uncles, Aunts, cousins..we had no clue. Due solely to the writing of this blog and a post on this mystery family connection, I was contacted by a woman in England which led to a conclusive DNA connection that we discovered this English branch. Marks Hyamovitch was the brother of my great grandfather Samuel Haimowitz, who set down roots in England. Both these discoveries and connections to cousins has been a highlight in my family research journey this year. And while these mystery were solved so many yet remain. One such mystery – who is the mystery sister on the left of Samuel and their niece, Freda Hyams (Hyamovitch) daughter of Marks? Another highlight for me this year came very recently in way of a photo share from my birthmother’s sister Rochelle and her daughter Lisa. I was sent this photo of Marlene Haimowitz just a month or so after she gave birth to me. Pregnant with me through all of her 18th year she gave birth to be 16 days after turning 19 on February 8th, 1953. I started 2018 with a purchase and post on a beautiful piece of jewelry and I think most appropriate for ending this year. The Chai, pronounced ‘hay’, is a letter in the alphabet with its numerical number 18. This is a spiritual number in Judaism and it most certainly fulfilled its destiny this year in bringing much life to our family. I would like to thank all of my family and friends who have followed along this year, commented and contributed to our families rich heritage. To all the cousin connections, both old and new, those connections with their strings still undone, I am excited for the new year and new discoveries in store. Samuel was born on June 22, 1896 and Benjamin, more commonly known as Barnett, was born five years later on June 29, 1900. Both were born in Manhattan. They joined siblings Esther/Estelle and Jacob/Jack. On the 1900 census they were living at 58 Monroe in N.Y.C.. Israel was working as a tailor, he could speak English but could not read or write. Fanny could neither read, write or speak english. Esther (6) on this census could read, write and speak English which I found amazing for a 6 year old at that time. Living 1 door down at 56 Monroe was Fanny’s brother Solomon/Simon and his family, wife Annie Dinofsky, son Moses, and daughters Rachel and Esther/Essie. I found the family in 1910 with spelling of the last name Lipshetz. It’s amazing the variety of spellings for this last name, the variety of spellings and misspellings in the records. They were still at the Monroe address with dad Israel’s occupation listed as factory forman. Daughter Dorothy had been born in 1906 making her the last of the children. By 1915 the family had moved to 59 E. 102nd St, N.Y.C.. Both Samuel and Benjamin were working as bookkeepers and by 1918 both were called to serve in the military and would register for the draft. Ancestry.com. New York, Abstracts of World War I Military Service, 1917-1919 [database on-line]. Provo, UT, USA: Ancestry.com Operations, Inc., 2013. Samuel enlisted on June 5, 1918 and was honorably discharged on Sept 30, 1918. He did not serve overseas nor was he disabled, he served a short 3 months. From his draft registration we learned his left ear and eye were bad. Perhaps this contributed to his discharge but with WWl drawing to an end in Nov. 1918 it could be his service was not needed. Samuel’s record gave me some additional clues. He listed his employer as Harris J. Lipman at 28 W. 25th St. and his nearest relative H. Cohen. I know we have a family connection to a Ruben Cohen and H&S Cohen company has been a business quite a few of our Lipschitz members have worked for, including my great grandfather Benjamin. There is also the possibility of Lipman being a Lipschitz with a name change. A search of newspaper.com led me to a mention in The Sun (New York New York) 17 Dec 1915, Fri under Leasing for Business heading; J.G. White & Co. have leased the store and basement at 28 – 30 West Twenty-fifth street to Harris J. Lipman. I have now identified who Harris J. Lipman was, his wife and children and added him to my research list to see if I can connect my Cohen/Lipschitz and Lipman. Benjamin registered for the draft on Sept. 12, 1918 and listed his nearest relative as his brother Sammie at their 1330 Franklin address. Also on this record his birth day was listed as the 13th in conflict to the known 29th date. I was unable to find a census record for the family for 1920 however the draft records indicate that the family was living at the 1330 Franklin Ave., Bronx address. So sometime between 1915 and 1918 the family made their move from Manhattan to the Bronx where they would remain at the Franklin address until the 1940 census. In 1925 Sam was working as a salesman and by the 1930 census he listed his occupation as manager – clothing. Benjamin, a shipping clerk in 1925 ditched his laborious jog for a theatrical job and joined his father as an usher in a theatre. 1936 and 1937 saw the death of both their parents, Israel passing away in Jan 1936 and Fanny passing on Dec. 29th 1937. Both are buried at Washington Cemetery in Brooklyn, New York. After their parents had passed, oldest sister Estelle and husband George Puchkoff along with daughter Myra had move into the home at 1330 Franklin Ave. with George listed as the head on the 1940 census along with Jack, Samuel and Benjamin recorded brother-in-law. Samuel and Ben were listed as usher – theatre and Jack as actor – Vaudeville. WWll began and neither were left out of the old mans draft. I was able to find a record for Samuel. His address was noted as 1746 Andrews Ave, Bronx. I could not find the same record for Benjamin which would have listed an address. From familysearch.com I did learn his record was for the Army. I hope in some comforting way the brothers were still together. Ancestry.com. U.S., World War II Army Enlistment Records, 1938-1946 [database on-line]. Provo, UT, USA: Ancestry.com Operations, Inc., 2005. I know very little else about these two brother’s others than this branch of my family had a deep love for the theatre and they remained very close. I am sharing a few pictures courtesy of the family of youngest sister Dorothy/Dora Lifschitz. Over the years I have had many email conversations with the Dorothy’s granddaughter. We connected through our DNA test on Ancestry. It took us quite a while to discover just how we were connected and I was thrilled when this past year we were finally able to break through this brick wall. Preceding them in death was their sister Dorothy in 1955, followed by Estelle in 1971, their brother Jack in 1974. Benjamin would out live them all passing away in 1980, 3 years after Samuel in 1977. Samuel and Benjamin are both buried in Mt Hebron Cemetery, Flushing, Queens, N.Y. 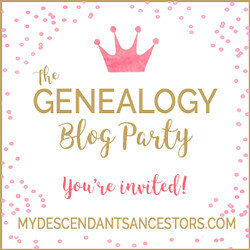 It was back in March that I started a series of posts on my newest Lipschitz Family DNA connection. A match with a 2nd cousin 1x removed had opened up a flood gate of information on the siblings of my great grandfather Benjamin which had long been lost to our family branch. My great grandfather Benjamin Lipschitz (1883 Slutsk, Belarus) was the son of David Lipschitz/Lipshitz and Yetta/Edith/Gittel Palley/Paley/Pallai, depending on what document you are looking at. The spelling of the last name also took on many variants. His siblings would go on to use the spelling of the last name with an f; Lifschitz/Lifshitz. Benjamin was born hearing but became deaf from a childhood illness. I am not clear if this happened in New York or in his home town of Slutsk. I tend to believe it was oversea’s arriving here in N.Y. shortly before his arranged marriage to Kate Rosen, also deaf from a childhood illness. Just recently I was sent a picture of Kate. The picture is from 1966 at the wedding of Kate’s granddaughter Rochelle, my aunt. Kate, 77 years old, went on to live another 7 years before passing away in 1973. I have no picture or know of any picture for Benjamin. The first of his siblings to be born in New York, I found Jacob (6), in the 1910 census living at 58 Monroe St, N.Y.C. along with his parents and sister listed as Esta (12) and Samuel (4). The spelling on this census was recorded as Libshitz, with brother-in-law Ruben Cohen (1864) living with them. His name of Cohen had and continues to cause some confusion as Fanny was clearly confirmed a Lipschitz. (I wonder if he could be the husband of a sister of Israel? Possible. 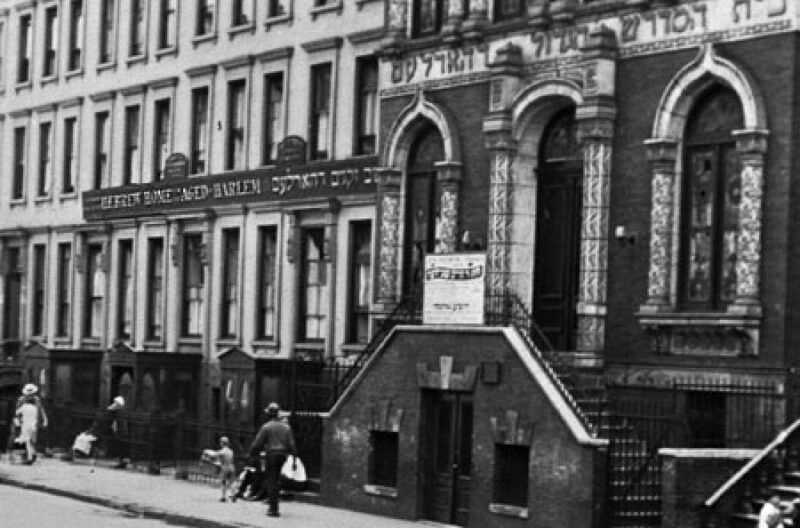 Just another mystery that deserves some time and research) By 1915 I located them living at 59 102nd St, N.Y.C.. Father Israel (50) was no longer working as a tailor but was an usher in a theatre Fanny (50) listed housework. The 3 oldest, Stella, Jacob now using Jack and Samuel were all working as bookkeepers, Benjamin and Dorothy were still in school. Ida (70) was living with them recorded as sister-in-law. This listing as sister-in-law raises the question, was this possibly a census error and in fact this was his mother-in-law? I know that Ida was alive and present at her son Isaac/Ike’s wedding to Rebecca Leff in 1903 (from wedding invitation) Ida’s estimated birth year has been 1850. Ida listed as 70 years old would give her a birth year of 1845. It’s very feasible that this is Fanny and Ike’s mother as her actual birth year in not accurate. I have also not located her death information. WWI was on the horizon and Jack was inducted on May 25, 1918. He was 24. Unable to find the 1920 census, I picked up the family in 1925 living at 1330 Franklin Ave, Bronx where they would remain up until and including 1940. Jack’s (31) profession was listed as actor. All of the family was still living together. His father Israel had listed his profession as advertisor, Stella (31) stenographer, Samuel (27) salesman, Ben (25) salesman and Dora (20) also actor. I like to think of this photo as possibly one of his professional industry pictures. I also learned from the family of Dorothy, that he was opera singer too. On January 25, 1926, in the Bronx, Jack’s sister Stella, under her formal name of Estelle married Joseph Puchkoff. In 1928 they would welcome their only child, a daughter named Myra. By 1930, still at the 1330 Franklin Bronx address, Stella no longer at home left the other 4 siblings. Father Israel (64) was again listed as usher – theatrical, Jack (36) actor – theatrical, Samuel (32) manager clothing, Benjamin (29) usher, and Dorothy/Dotty (24) actress – theatrical. On June 25th, 1936 Jack boarded the “Munargo’ cruise ship for Havana, Cuba. He would return on July, 7th. I could identify any other passenger traveling with Jack by matching up his address which was the 1330 Franklin address. The Munargo was a ship owned by the Munson Steamship Line. It set sail in 1922 equipped to transport 295 passengers. It was commissioned for Caribbean service and Eastern Cuba. This ship was later purchased by the Army and became a hospital ship, renamed The Thistle. Stella along with her husband George Puchkoff and daughter Myra had moved into the home at 1330 Franklin Ave, Bronx, owned by her parents. The 1940 census had this family now listed with George (48) as the head, lived in that same house in 1935, working as an auctioneer with Estelle (48) and Myra (12) Recorded as brother-in-law’s, Jack (44) actor – vaudeville, Samuel (41) and Benjamin (39) both usher’s – theatre. Even though The Palace had stopped showcasing vaudeville acts, Jack referring to himself as ‘in vaudeville’ seems to be telling of what he was doing, however on his 1942 WWll registration card it appears he was out of work, still unmarried with his sister Estelle as his contact person. Notice the address also. It is not the the 1330 Franklin, Bronx address. Below is a photo of Jack with his wife. This photo has no identification on who she was. This photo was shared by the family of Dorothy Lifschitz. She is mentioned as unknown. Looking at the city index for the year 1931 for something else, I spotted a Rebecca Lifshitz living at the 1330 Franklin Ave address; looking further I found our Jack, Dotty (Dorothy), Samuel, and Israel also at the address. Is it possible that this was Jack’s wife? We do know that by 1940 Jack was listed on the census as single with out a Rebecca and that his 1942 WWll registration listed his sister Estelle. Had he divorced/annulled and claimed single?Had the photo been mislabeled? If not his wife then who was Rebecca living at the address with the rest of the family? Little more is known by me of Jack in the years following 1942. Jack outlived both his sister’s, Dorothy (1955) and Estelle (1971) before passing away on Feb 19th, 1974. He is buried at Mount Hebron Cemetery, Flushing, Queens, New York. Morton C. Aaronson born 16 June 1917, Bronx, New York. Morton was the son of Samuel C. Aronson and Rachel (Rae) Lipschitz. You may or more likely not, remember that Rae was the daughter of Simon Lipschitz and Annie Dinofsky – Simon was the brother of my great grandfather Benjamin Lipschitz. At first glance under Cause of Death I spotted injuries – multiple – extreme; Aircraft accident and then adding that to the above mention of McCarren Field, which I knew as an airport, I was horrified to read further that this was a mid-air crash between a commercial plane and a Military aircraft.